Woodford Folk Festivals 25th Anniversary programme is the most resplendent programme ever presented, promising an epic journey into the kaleidoscope of Australian culture. 3000 performers and artists, thinkers and cultural activists, environmentalists and comedians, and two former Prime Ministers will descend upon the forested valley of Woodfordia between the 27th December and the 1st of January to celebrate our existence in true Australian style. With an expected attendance of 120,000 patrons, Woodford has evolved into one of Australia’s largest and most iconic festivals. Despite its large size, the festival has retained its grassroots, non-commercial feel. It is popular with all ages, and the ‘brilliant’ festival atmosphere is the most highly rated aspect of the event in visitor surveys. In addition to the 620 acts performing across 22 venues (all indoor except for the large amphitheatre), the festival streets are alive with roving street theatre, parades, art and spontaneous performances day and night. For more information visit www.woodfordfolkfestival.com. With Christmas fast approaching, there’s no better place to shop for original gifts than the Eumundi Markets – every Saturday and Wednesday morning. You’ll find everything from fashion and jewellery to original art, ceramics and furniture, as well as handmade toys and a wealth of wonderful stocking fillers! Our food stalls have everything you could need to cook up a storm for your Christmas parties and that Christmas Day feast. And for kids keen to see Santa and have their photos taken with Santa, he’ll be at Eumundi Markets in the lead-up to Christmas. You’ll find Santa and his helpers at the Main Stage (near the Railway Refreshment Rooms). Move over Rudolf... Santa's got a new sleigh! 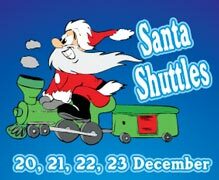 So make tracks to The Valley Rattler this Christmas and ride the Silver Bullet Railmotor to the North Pole aboard the Santa Shuttles. Enjoy a 20 minute train journey and all children have the chance to meet Santa and receive a small present. Cost: $4 per person (Adults & Children). On 19th December at Coolum Beach the toughest, fastest, fittest surf sports athletes on the planet will battle it out over the Enduro course for round three glory. 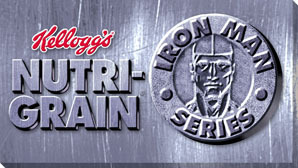 The Kellogg's Nutri-Grain ironman race will start at 1.30pm and feature stars like Shannon and Caine Eckstein, Zane Holmes, Ky Hurst, Hugh Dougherty and the Sunshine Coast's Matt Poole, Rhys Drury and Corey Jones. The ironwoman race will start at approx 11.30am and see the sport's biggest names including local stars Alicia Marriott, Gemma Newbiggin, Rebecca Creedy and Allira Richardson. They will be joined by rising talents Jordan Mercer and Danielle Allen and the Gold Coast's Liz Pluimers and Kristyl Smith. The Legend's of the surf race will start at approx 10am with all the names from yesteryear - Guy Leech, Grant Kenny, Trevor Hendy, Darren Mercer, Phil Clayton and many more. Come on down and see the best of the best battle it out in Coolum's testing surf. 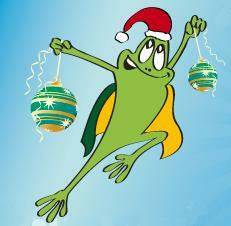 A prize pool of $1,400 is sure to see a huge field of entrants in the Great Santa Race on Saturday, 4 December. The challenge is simple - make the short dash up Maple Street in Cooroy dressed in a santa suit! This year the event will also be raising funds for the Leukaemia Foundation providing even more incentive to get your running shoes on. Hosted by the Cooroy Chamber of Commerce and the Rotary Club of Cooroy this event is a showcase of Christmas spirit for the region. The race will precede the popular Bendigo Bank Street Parade which then leads into other festivities such as music and fireworks in Apex Park. If you love fashion and fancy a flutter, head to the Sunshine Coast Turf Club’s charity race day on Sunday, 14 November and support the Leukaemia Foundation of Queensland. Guests at the luncheon will enjoy canapés and bubbly on arrival and a delicious three-course meal, raffles, fashions on the field and much more – all for a good cause! Channel 7 TV Personality Dr Harry Cooper will be speaking at this years Expo. Dr Harry will give two informative talks on the Main Stage through out the day, with pleanty of photo opportunities available for all during the day. There will be a variety of animals, birds and breeds on display. From 8.00am until 3pm a number of activities is planned including – pet care information, "ask the vet” session, dog agility & flyball demonstrations, dog obedience, reptile demonstrations and fun activities such as Dancing with Dogs and Pet Look-Alike Competition. 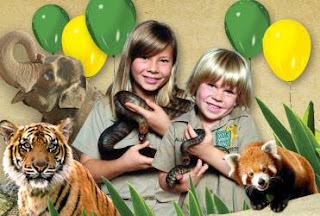 Expo will be filled with fun for the whole family like a free Children’s Petting Zoo, free Jumpy Castle and animal rides, so why not come and enjoy the day at the Sunshine Coast Animal and Pet Expo on 31st October 2010 from 8am till 3pm. Mooloolaba Triathlon will be held from 25 - 27 March 2011. Registration will open on 13th October 2010 for individuals and on 15th October 2010 for teams. 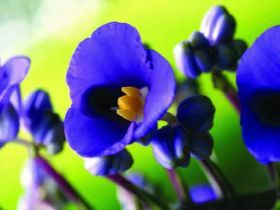 Go to http://www.usmevents.com.au/ to register. FESTURI celebrates diversity and our local culture through interactive workshops, roaming buskers and performances on stage. The Village, situated at Kings Beach, during Caloundra Music Festival, has a safe, communal atmosphere where everyone is welcome to experience different cultures and participate in the celebrations in a relaxing and fun environment. FESTURI’s annual successful multicultural workshops, Story Telling Tent and Parade of Nations will be on again. The main stage in the Village will include a great mix of local emerging artists, local schools, winners of the Battle of the Band competitions – and special guests from the Caloundra Music Festival main stage. Take a ride on the giant ferris wheel or carousel, get involved in the street performance workshops and activities, and join in the fun of the parade on Saturday. Check out the huge array of children’s workshops and activities, or just wander through the great authentic food stalls and markets. Nambour Lapidary Club is hosting their 4th anuall Gemfest on 9th October at Nambour Showgrounds (Coronation Dr, Nambour) . This year there will be over 160 stalls with traders from all over Australia displaying and selling a huge variety of Opals, Sapphires, Topaz, Minerals, Jewellery and so much more. It will be the largest display of Gems, Minerals and Lapidary equipment on the Coast. Lapidary is the art of cutting and polishing rocks and gems, and is a hobby that attracts young and old alike.Come along and enjoy the day. Food and drinks are available.